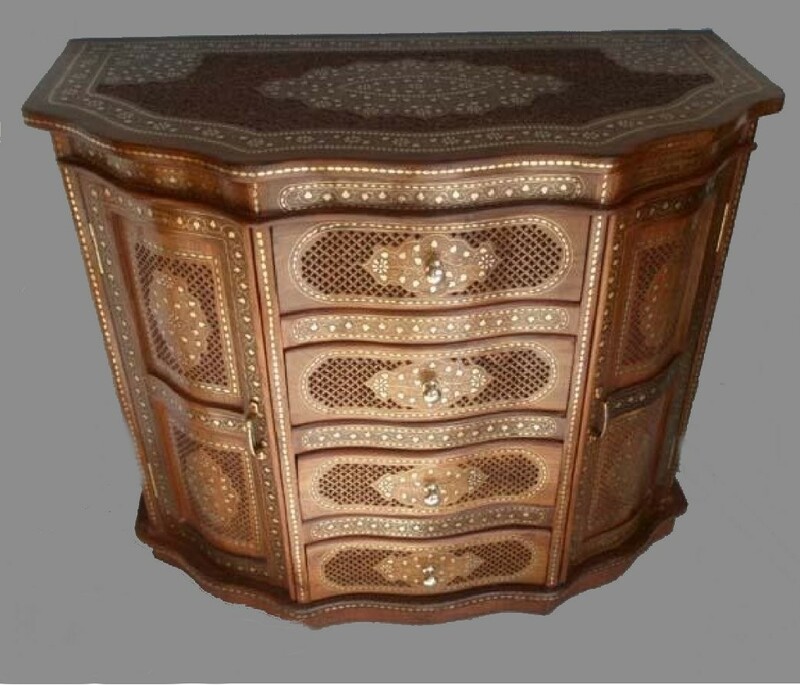 Features:Cabinet jali sheesham wood Size:36" Description:Cabinet jali sheesham wood with Brass work Type:Bedroom Furniture Specific Use:	Nightstand General Use:Home Furniture Material:	Wooden Wood Style:Solid Wood Wood Type:sheesham wood Specifications:This is wooden small nightstand, made from solid sheesham wood. This can be made in different woods as per buyer's choice. Product Description:This is a wooden nightstand. This bedside is made from sheesham wood. sheesham wood is used mostly because of its good quality and average cost in hadicrafts industries. This product can be made from other wood also such as teak wood, accasia wood, mango wood etc. as per buyer's requirement. we have wide range of color finish for this product please contact us for inquiry of different finishes. The size and dimensions of this product can also be customized according to need of our customer. Price will be vary according to size and wood used.